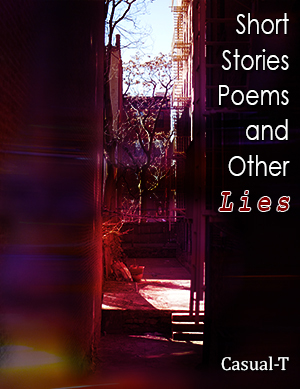 Short Stories, Poems, & Other Lies contains... Well, to be honest... It contains short stories, poems, and a whole bunch of other lies. I'm telling the truth - Promise. It is a collection of scriblings by yours truly. Some thoughtful, some funny, and some have a bit of mystery sprinkled over the top (for good measure, so to speak...). So, if you're into thoughtful, funny stuff, that's mysterious - and not too expensive - why not grab yourself a copy? If you would like to be one of the first to order it once it's published, you can sign up for the mailing list and I'll let you know, the moment it becomes available. And just in case you'd like to sample a little taste and whet your appetite, before spending your hard earned cash on this fine little book of wisdom and truth (Ahem...!! ), you're more than welcome to check out of few morsels. I've made the first item in each section (marked with an asterisk) available, for your reading pleasure... Hope you enjoy! How Many Bananas Fit Into a Peanut?